← Holy Week – Please join us. Tomorrow is a busy day at Trinity. If you are free in the afternoon, please join us! Would you like to help prepare the church for Holy Week and Easter? Come help get the Nave ready for the solemn services of Holy Week and the great joyous Festal Services of the Resurrection! Bring gloves, cleaning cloths, etc., and join others to make God’s House of Prayer ready for all people! Have you ever wanted to learn to make a Palm Cross? Ever wanted to know how the palm crosses used Palm Sunday were made? Mark your calendar for a mini-workshop this Saturday, April 13th and you’ll be able to make not only crosses for you and your family, but also support this limited time ministry in supplying palm crosses to others for Palm Sunday! 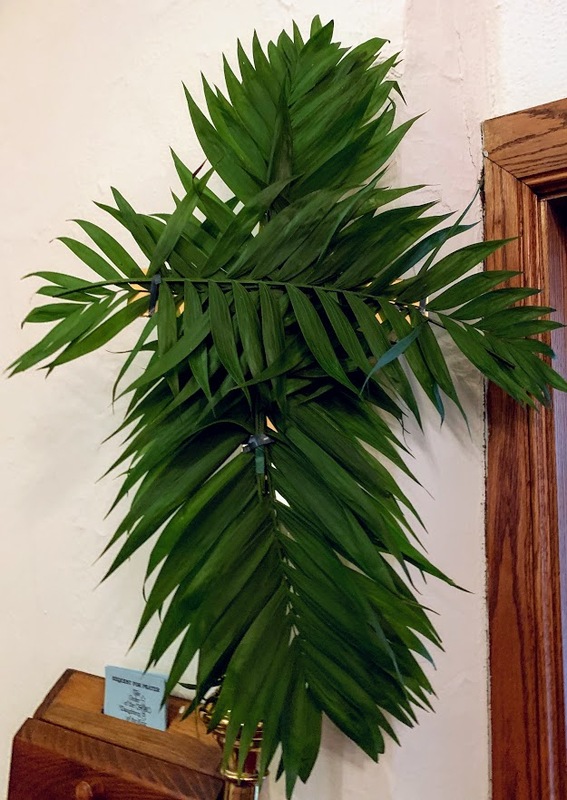 We’ll gather Saturday, April 13th, in the Parish Hall at 3:30 p.m. Once you feel comfortable with the technique, you may leave or stay to help make extras for distribution on Palm Sunday. Please bring scissors and your enthusiasm! Here are some examples of Palm Crosses made by our parishioner Michelle Mills for the parish just yesterday.